L.T. Downing is the author of Get That Gold! and The Pilfered Papers, Books One and Two in the Adventures of the Restoration series, as well as Island of the Stone Boy. She has published fiction for young people in the Friend and New Era magazines. She received her Bachelor of Arts degree from Brigham Young University and a Master of Arts degree from Texas A&M-Commerce. 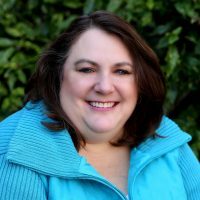 She also writes literary fiction and served for three years as the fiction editor for Irreantum, the literary journal published by the Association for Mormon Letters, and Sunstone Magazine. She resides in Heath, Texas with her family. Listen to her interview on THE GOOD WORD, a podcast out of Salt Lake City hosted by Nick Galieti. CLICK HERE.